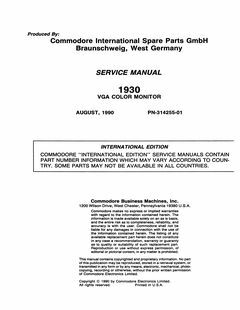 C1930 VGA Monitor Service manual has been updated including schematic. 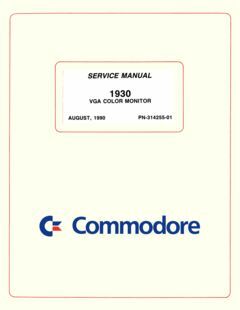 Added ‘Commodore MC 8535 19″ farvemonitor Brochure (Danish)’ with thanks to Ove Mejlgaard. 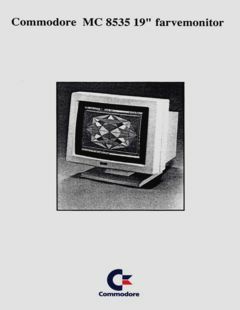 Added ‘Commodore SVGA Super-lavstrålings farvemonitor brochure (Danish)’ with thanks to Ove Mejlgaard. 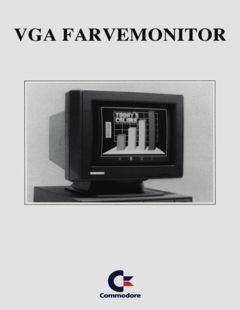 Added ‘Commodore VGA farvemonitor brochure (Danish)’ with thanks to Ove Mejlgaard. 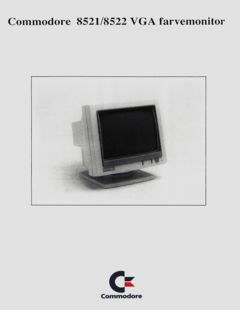 Added ‘Commodore 8521/8522 VGA farvemonitor brochure (Danish)’ with thanks to Ove Mejlgaard. 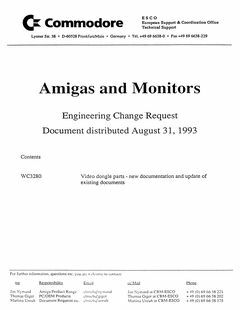 Added Amigas and Monitors Engineering Change Request, August 31, 1993 with thanks to Ove Mejlgaard. 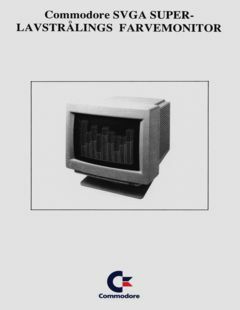 Contains schematics 365377-01 (video buffering with sync generation) and 365377-02 (simple video buffering) 23-pin RGB to 15-pin VGA adapters as well as PCB artwork drawings for 390682-03 23-pin to 15-pin adapter.